Trooper Gearty was born in 1961 in Norwood, Massachusetts. He graduated from Blue Hills Regional High School in Canton, Massachusetts in 1980. After high school, he served his country in the United States Army as a Military Police Officer. Trooper Gearty was a five-year veteran of the New Hampshire State Police assigned to Troop F in Twin Mountain. He died in the line of duty along with Trooper Gary Parker transporting a prisoner to the Grafton County Jail. While traveling on Route 25 near the Wentworth-Warren town line, their cruiser was crushed by a load of lumber that broke loose from a tractor trailer. 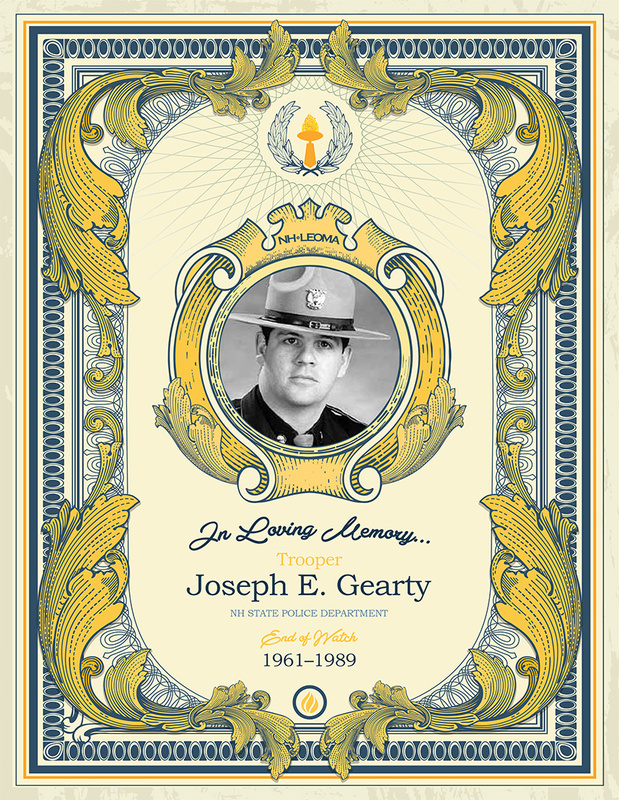 Trooper Gearty was 28 years old. Trooper Gearty was survived by his wife, Debbie, and their six-month old son, Matthew.